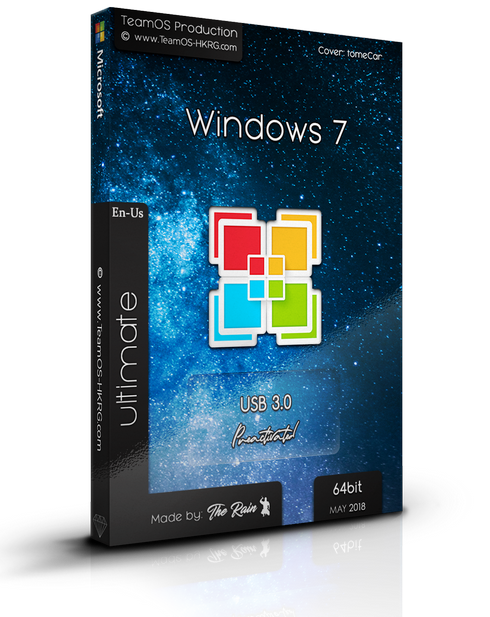 Torrent + Direct - Windows 7 Ultimate Sp1 X64 En-us May2018 (usb3.0) Pre-activated=-team Os=- | Team OS : Your Only Destination To Custom OS !! Thank u very much brother. For people asking April equivalent of Windows 7 x64 image is only 2.66 GBs but this one (may update) is 4.46 GBs is that previous version used .esd compression (which was used in windows 8 and 10) but this iso is made with orginal windows 7 compression thats why. But please rain could you upload new file with .esd compression i cant burn this iso to DVD due to large file size. (yeah i know i can use rufus or others to make bootable usb but i want to make safe keeping). Can I update this? If I do, will it show the "This Copy of Windows is not genuine" error? thank you The Rain is the best !!!!!!!!!!! !